Ships from and sold by AMM_Books-UK. 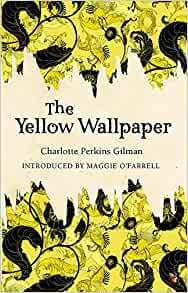 The Yellow Wallpaper is a short story by American writer Charlotte Perkins Gilman, first published in January 1892 in The New England Magazine. It is regarded as an important early work of American feminist literature, illustrating attitudes in the nineteenth century toward women's physical and mental health. The story also has been classified as Gothic fiction and horror fiction. "The Yellow Wallpaper" is written in epistolary style, specifically as a collection of first person journal entries written by a woman whose physician husband has confined her to the upstairs bedroom of a house that he has rented for the summer. She is forbidden from working, and has to hide her journal entries from him, so that she can recuperate from what he calls a "temporary nervous depression;a slight hysterical tendency," a diagnosis common to women in that period. Her husband controls her access to the rest of the house. A key locks the door. The story depicts the effect of confinement on the narrator's mental health, and her descent into psychosis. With nothing to stimulate her, she becomes obsessed by the pattern and color of the wallpaper. "It is the strangest yellow, that wall-paper! It makes me think of all the yellow things I ever saw ; not beautiful ones like buttercups, but old foul, bad yellow things. But there is something else about that paper;the smell! … The only thing I can think of that it is like, is the color of the paper! A yellow smell." In the end, she imagines that there are women creeping around behind the patterns of the wallpaper, and comes to believe that she is one of them. She locks herself in the room, now the only place where she feels safe, refusing to leave when the summer rental is up. "For outside you have to creep on the ground, and everything is green instead of yellow. But here I can creep smoothly on the floor, and my shoulder just fits in that long smooch around the wall, so I cannot lose my way." Charlotte Perkins Gilman (1860-1935) was a prominent American sociologist, novelist, writer of short stories, poetry, and nonfiction, and a lecturer for social reform. She was a utopian feminist during a time when her accomplishments were exceptional for women, and she served as a role model for future generations of feminists because of her unorthodox concepts and lifestyle. Her best remembered work today is her semi-autobiographical short story The Yellow Wallpaper which she wrote after a severe bout of postpartum psychosis. Start reading The Yellow Wallpaper on your Kindle in under a minute. “The Yellow Wallpaper” is definitely the masterpiece of this collection. If that was the only story that Gilman ever wrote – it would be enough to guarantee her a place in literature's Hall of Fame. It's a work of genius, giving shattering insight into someone deteriorating into insanity under the pressures of a restrictive, patronizing society. That story alone would make this book worthwhile. But here you get a bonus of six extra stories and a thumbnail biography of Gilman. In general, the other stories aren't very good. They are about how women (and one man) free themselves from the dreariness of childcare and domestic life in general – and get to follow more creative pursuits. But it always happens too easily, too fast. Circumstances and other people become all too readily willing to accommodate the freedom-seeker. The women who seek release are too quickly able to convert the men in their lives into seeing the advantages of women's liberation. So although these stories are the product of early 20th century feminist aspirations, it's the men who most often are idealized on these pages. The stories are turned into unrealistic strains of wishful thinking and romantic escapism. Although in one story, “If I Were a man,” Gilman does recognize the dual stereotypes many men impose on women when they view them in Madonna/loose woman alternative. However, Gilman shows herself to be perhaps a bit too prone to stereotyping life when she assumes that raising children must always be a dull burden. Her stories contain no inkling that such an occupation might be as stimulating as embroidery or giving music lessons – that there might be a Zen of housework that both men and women could sometimes find creative release in practicing. So although “Wallpaper” is a five-star story, I have to demote this book overall to just four stars. Just one of the of the other stories besides “Wallpaper” goes a little deeper into cross-currents of motive. That story is “The Cottagette.” This is about two women friends who go to a cottage retreat where meals are prepared by a staff at a central lodge. The place seems to be a kind of artists' colony. It's an ideal place, offering the women freedom from humdrum chores. But then both women begin to like the same man at the colony. Then the reader can't be completely sure whether it's solicitousness or sabotage that creeps in to undermine life at the cottagette. I originally read this story back in high school. I had this uber feminist English teacher who had us reading everything from The Awakening to The Handmaid's Tale. I was way more closed minded and stubborn back then (ok, I'm still really stubborn) and definitely did not share in her feministic views. However, somehow, this short story always stayed with me. So imagine my surprise when I am reading this book and I come across the backstory as to why Gilman wrote The Yellow Wallpaper. A Civil War doctor use to prescribe what he called "rest cure" for different ailments (mainly mental health related, although they certainly didn't categorize it as such back then). For men, he sent them out West, to be outdoors with other people, hunting, being active, relaxing. But for women, he sentenced them to confinement. Told them they needed to be in an isolated, dark room with no visitors and no stimulation. And people actually accepted this! Well, most did. Gillman, one of his patients, rejected the idea so soundly that she produced The Yellow Wallpaper as a result. (Apparently Virginia Woolf also met with the doctor and had a similar response). This fact made me think I misjudged this short story all those years ago. So I took to rereading it. With this new knowledge of how it came about (and I am sure a more mature and open mindset), I was able to see just how inspired, angry, and good Gilman's story really is. Two years or so before I had the pleasure of reading "The Yellow Wallpaper" for the first time. High school is not the optimal place to read stories as different as this short story because most classmates do not appreciate the art of literary writing, but most importantly the teacher you have can make or break the experience of reading said pieces. It was no surprise at all that after finishing my second read through, I found I had missed a lot of jewels in this little trove. 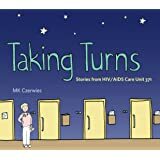 This short story follows a woman's mental leaps between relating what's going in her life (she had a baby, her husband is a doctor, etc.) and her strong feelings against the yellow wallpaper in her and her husband's room. Mrs. Gilman's notes about the story later revealed that the reason the main protagonist sounded mentally ill but not melodramatically so was because the author herself went through the "rest cure", which nearly drove her into a mental breakdown before she decided to ignore the guidance of her doctor and return to work. There are many themes you can glean from the text. It can 1) be an inside look at how women were treated pre-suffrage, 2) be used as honest proof that postpartum depression is and has been a real struggle mothers have had to face for centuries, or 3) be a little Gothic horror story that explores what happens in the mind of the mentally ill.
"I don't like to LOOK out of the windows even--there are so many of those creeping women, and they creep so fast. I wonder if they all come out of that wall-paper as I did?" (loc. 378). "I've got out at last in spite of you and Jane. And I've pulled off most of the paper, so you can't put me back!" (loc. 388). Overall, I like to look at is as both a haunting Gothic piece of fiction and as an inside look of how it feels to slowly go mad. The fact that the narrator started believing there was a woman locked in behind the bars of the paper could very well be her own mind's way making sense of the cage holding it back. It's also moving that at the end the narrator say she feels most at home around the wallpaper she'd spited through the majority of her entries. This massive little story just goes to show how complex our minds truly are, and the dangers that unfold when a mind is oppressed. I highly recommend purchasing an ebook version so as to take plenty of notes while reading.